I can remember back in 2002 when I met with Cedar Circle Farm managers Kate Duesterberg and Will Allen to talk about the possibility of offering strawberry and pumpkin festivals, as a means of welcoming the community to the farm to celebrate the harvest, meet the farmers and learn more about locally-grown organic food. The first festivals were held in 2003 and drew a few hundred people. 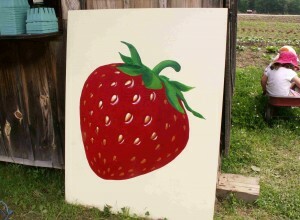 Looking back in my file for the 1st Annual Strawberrry Festival held in 2003, there were horse-drawn wagon rides to and from the strawberry patch, strawberry picking, guided farm tours, kids’ activities, live bluegrass music, and a food concession. That same basic model, which has proven quite successful and now expanded upon, continues to this day as we approach the 11th Annual Strawberry Festival on June 30th, 2013. The festival is always held the last Sunday in June, from 10-4, rain or shine. 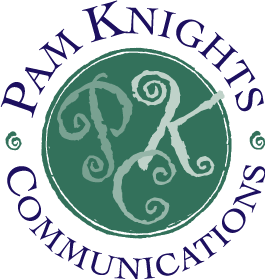 Attendance at the festivals has steadily grown with over the years with around 1300 at the strawberry festival and 1900 at the pumpkin festival last year. In keeping with the Cedar Circle Farm’s commitment to sustainability, the festivals are Green Events. With use of a recycling station, they have been able to reduce waste to a mere 2-3 bags of trash, no easy feat with crowds of that size. People are encouraged to bring their own placesettings to cut down on paper and bio-degradable eating utensils are provided. 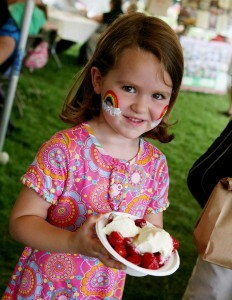 Here’s a run down of what to expect at the 11th Annual Strawberry Festival at Cedar Circle Farm & Education Center. 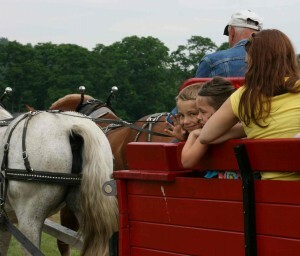 Ongoing activities include horse-drawn rides to and from the strawberry patch, strawberry picking, an Organic Good Food Concession, live entertainment, seed planting , mural coloring, arts and crafts, and self-guided farm tours. On the main stage, two Upper Valley-based bands play: The Last Resort, an alt-country band from 10-12, followed by Jeanne & the Hi-Tops, featuring soul, blues and root music from 1-4 PM. Throughout the day, there will be games and activities under the kids’ tent including storytelling by award-winning Simon Brooks of New London, NH, and interactive music with the New Hampshire based Cold River Ranters band. The good food concession (11-3) offers homemade strawberry shortcake, hearty salads, grilled local Hog Wash Farms sausages, Bean Crafters bean burgers (made with CCF’s beans! ), Strafford Creamery organic ice cream with strawberry sauce, strawberry smoothies and popsicles, and Café cookies, plus NOFA-VT’s fresh organic veggie and herb pizzas, baked in their copper-domed mobile pizza oven. Cedar Circle Farm’s beekeeper introduces the bees with a talk about beekeeping (1-3).The Thetford Energy Committee will be offering free bike repairs. A raffle will be held, with proceeds funding CSA shares for limited-income families (drawing at 2:45). The farmstand and Hello Café coffee shop offer organic veggies, flowers, baked goods and farm-made products throughout the day. Carpooling is encouraged (parking is $5 per car); those coming by bike or on foot get in free! Bring a place setting to help reduce waste at this Green Event and please leave your pets at home. For more information and directions to Cedar Circle Farm & Education Center visit www.CedarCircleFarm.org or call 802-785-4737.